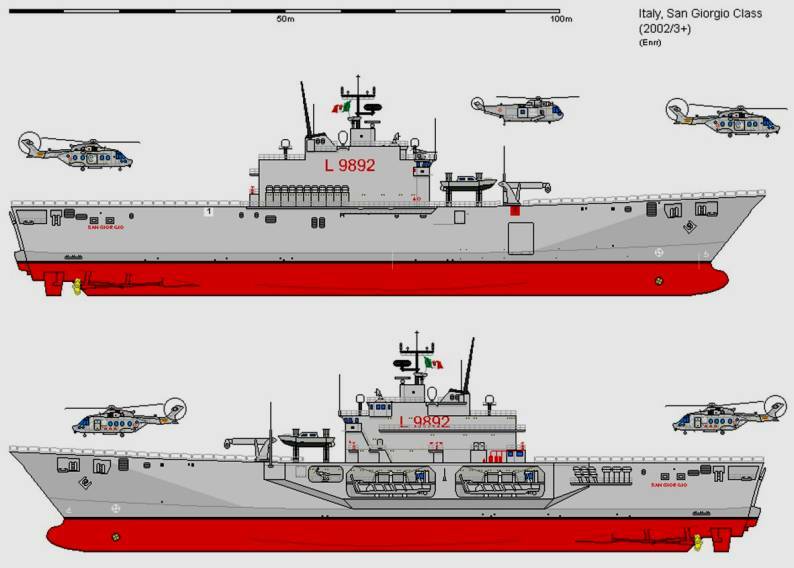 Three San Giorgio class amphibious transport dock were built by Fincantieri for the Marina Militare Italiana. 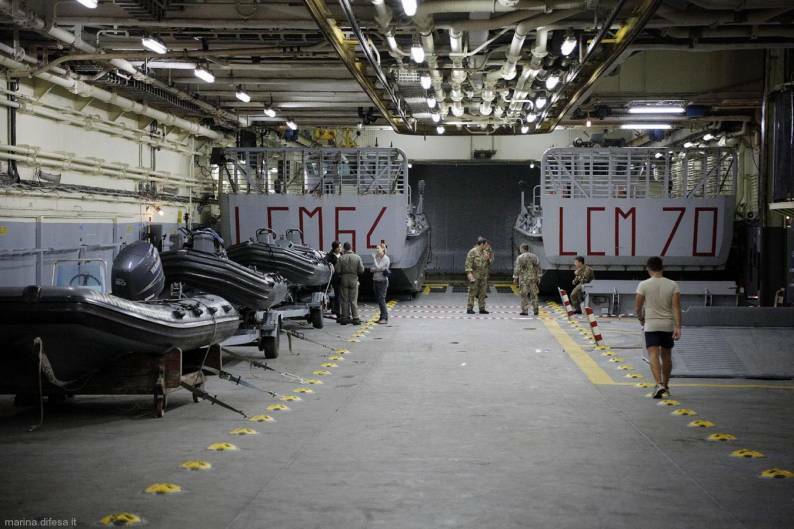 These ships can lift a battalion of troops, and up to 36 armoured vehicles. The stern floodable dock can accommodate three landing craft and the flight deck has three landing spots. 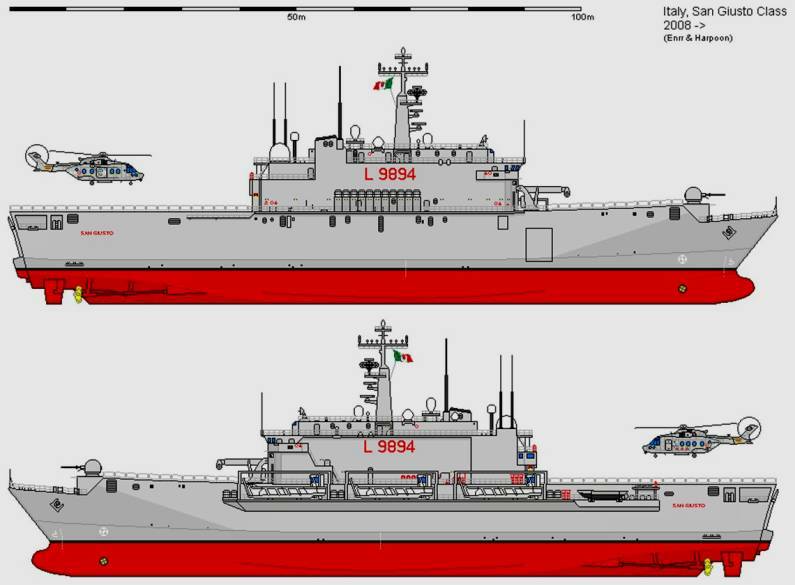 San Giusto has a full load displacement 300t greater than the other ships in the class. 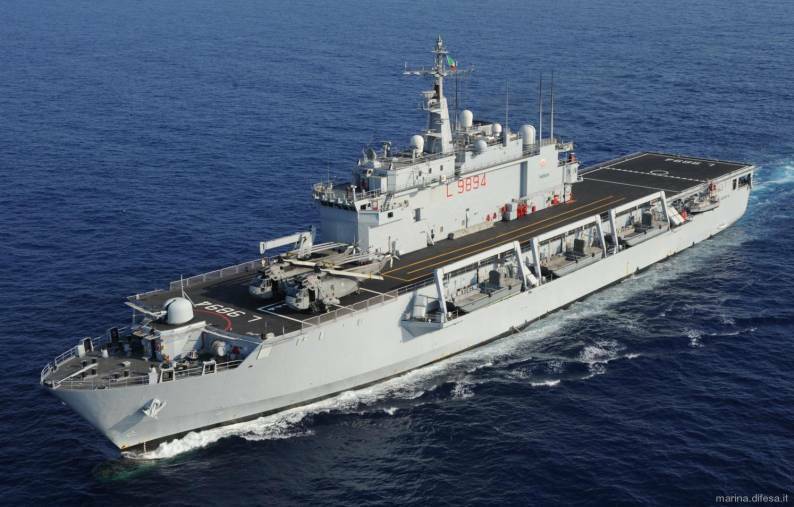 San Giusto is normally employed as a training ship. 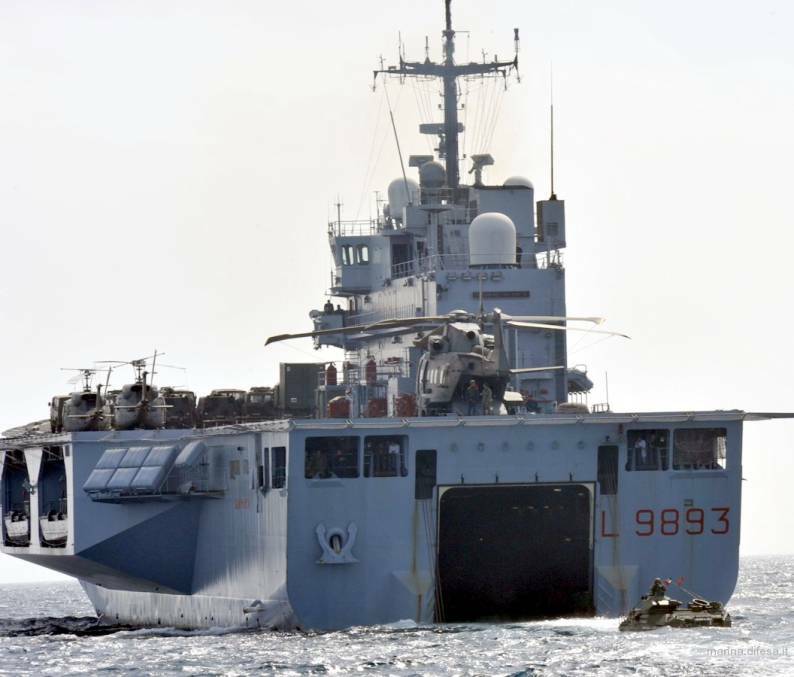 The ships are based at the Brindisi naval base. 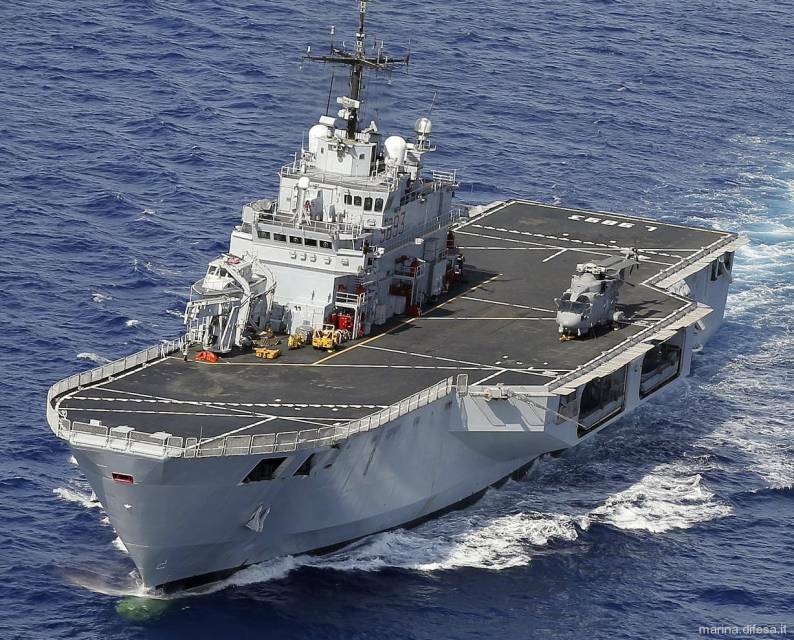 In July 2011 the Algerian Navy placed an order with Fincantieri for an improved version of the San Giorgio class amphibious transport ships, classified as Bâtiment de Débarquement et de Soutien Logistique (BDSL). On 8 January 2014 the BDSL Kalaat Béni-Abbès was launched. 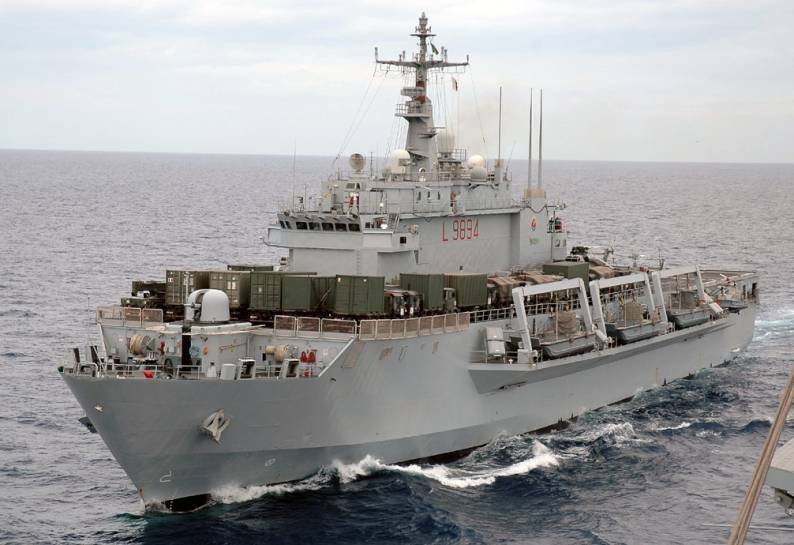 The vessel was fitted with DCNS Sylver VLS for Aster 15 and Aster 30 SAM behind the island superstructure, one OTO Melara 76/62 Super Rapid gun at the bow and with two 25/80 remote machine guns.